Is behavioural economics the new marketing? Ever since the Conservatives discovered Nudge, a book by the American writers Richard Thaler and Cass Sunstein, people in business, and especially in communications, have got excited about behavioural economics. Seasoned marketers are leaving their jobs to set up behavioural insights consultancies, a bit like a previous generation of marketers went off to create web-based businesses at the turn of this century. Most of those marketers, and many of those businesses, came back into the mainstream, bringing the digital world with them. The same will happen with behavioural economics. There’s a lot of value in BE, not least in understanding our irrationality. Someone wise has pointed out that we are rationalising creatures not rational ones – we try to explain our decisions and behaviour, without really knowing half the time why we did what we did. Behavioural economics taps into the little things that “nudge” us to do things, sometimes unwittingly – for example, seeing other people do things makes it more acceptable. 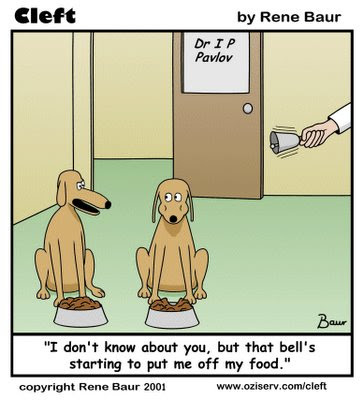 Behavioural insights can thus be used in communications to persuade people to do things. The government’s behavioural insights team tries to find ways to nudge us into better habits that are healthier, better for the planet or better for the Treasury. For example, hearing that most people pay their tax on time makes us more likely to do it because we see it as the norm to do so. Some people are wondering whether this is the new marketing, replacing our old marketing concepts. It’s not. Having a relevant product or service offering, built on insight about people’s needs and behaviours, is still the sine qua non of successful businesses, and it’s the job of marketers to help the business arrive at these – telling people about your offering in a persuasive way is just part of it. But it might be the new market research, at least in part. It’s smart to look seriously for behavioural insights, because they can help create effective communication strategies that connect with your target customer. Great communicators have always incorporated this thinking into their work, perhaps not always consciously. BE models help all of us do it more systematically. But as always it’s important not to confuse marketing communications with the business function of marketing, which is so much more than a collection of persuasion techniques. (For examples of these, see a behavioural economics cribsheet here). You can’t trick people into wanting what others have if in practice it delivers nothing of value for them. At the same time, marketing is also so much simpler – it’s finding out what your target customers value and will pay for, and making sure you provide it consistently and reliably so that they choose you. Using clever subliminal techniques to persuade or prompt the behaviour you want – to try, or buy, your offering – those are just small parts of the whole business process of creating satisfied customers.